I completed a B.Sc. (for) with 1st class Honours at the ANU as a Forestry Commission Trainee in 1981 and then went to work for the NSW government. After 3 years as a field forester, I moved to Sydney where I eventually became the Senior Inventory Officer responsible for quantifying the growth and value of plantations and native forests of NSW. In 1994, I returned to the ANU to teach and research into forest measurement and management. 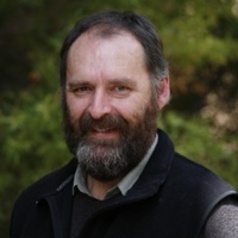 In 2009, I took leave to become the inaugural Chair and Professor of Forestry at the Waiariki Institute (Rotorua, New Zealand) and subsequently became the Director of Research with a mandate to increase the research profile and potential of that Institute (in fields from primary industry, Maori development, nursing and health studies, computing and business). After a successful 3 years, I returned to the ANU to take up my teaching and research roles in the Fenner School of Environment and Society.